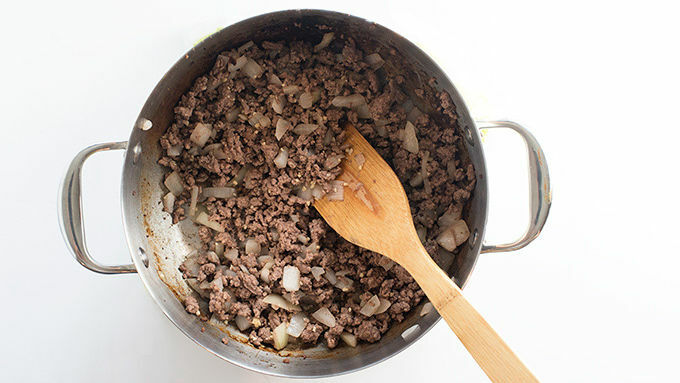 In a large soup pot or Dutch oven over medium heat, brown the ground beef, breaking meat up as it cooks. Add onion and garlic. Continue cooking until beef is cooked through and no longer pink. Drain liquid from pan. 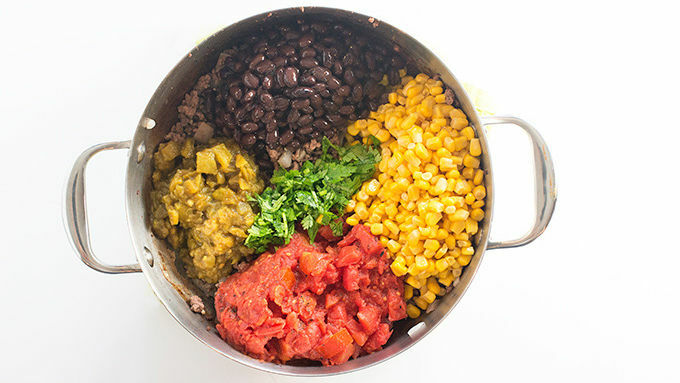 Add the taco seasoning, tomatoes, corn, chiles, beans, cilantro and chicken broth to the pot and stir to combine. Simmer over medium heat for 30 minutes, stirring occasionally. Serve topped with crumbled tortilla chips and grated cheese. Sour cream and avocado make great toppings as well! It’s finally soup season! 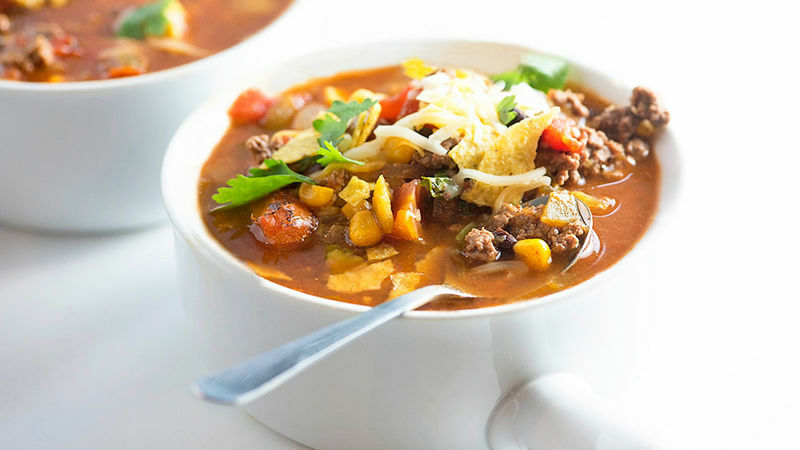 Change things up with a beef taco-inspired tortilla soup instead of the more traditional chicken version. It’s sweater weather, you guys! And you know what else that means, right? Soup season is here! I mean, yes, I could eat soup all year ‘round, but let’s be real. It definitely tastes best on a chilly night. I thought it’d be fun to go south of the border with a little tortilla soup. This time I changed things up and made it a ground beef tortilla soup instead of the more traditional chicken version. 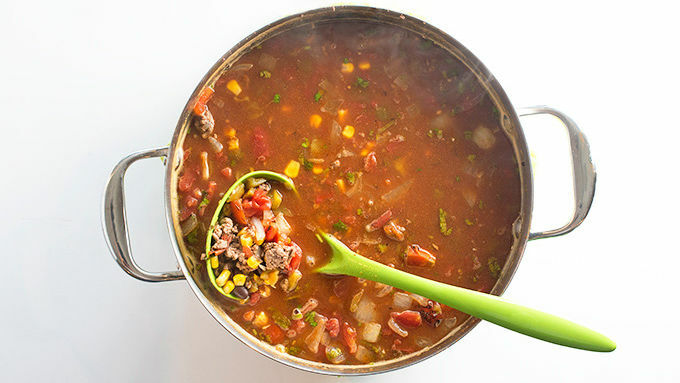 You’re going to need some ground beef, onion, diced tomatoes, cilantro, garlic, chicken broth, corn, green chiles, black beans, and some taco seasoning. Serve these bowls of goodness topped with a bit of crunched up tortilla chips and some shredded cheese!